KB + VR = CDM. Decrypting these abbreviations gets you at Ken Ball plus Vinnie Rossi equal Continental Dual Mono. And really, neither man is a stranger to collaborative efforts. Vinnie Rossi's LIO is built upon core contributions from Bent Audio's John Chapman. Ken Ball's mighty Studio Six amplifier arose from a prototype which Portland fellow resident Thomas Martens presented to him. For ALO Audio's flagship portable DAC/headfi amp, Ken contracted with signore Red Wine for the circuit whilst he inked the industrial design. And it's a mutant cherry of a beast: big, impeccably metallic, with engraved scripting, fine vent bores, Gorilla glass spy window, logo-festooned metallic capsule beneath bracketed by two inverted sub-miniature valves back-lit in warm orange when 'on'. Which in my book is definitely on. Pick black or clear anodized. 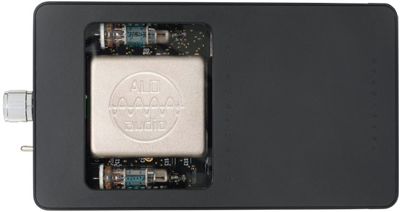 With 3.5mm stereo and 2.5mm balanced i/o plus true 3.5mm line-out, micro USB to access the internal Wolfson DAC and hi/lo gain switch, the CDM is comprehensively socketed and featured. It's also a cross dresser. Or is that unisex? Whatever, you can come in one way and exit the other, i.e. run a balanced source into standard-wired headphones or a single-ended source into balanced-wired cans. The CDM does all seasons and reasons. If that sounds somewhat hybrid, spot on. The very visible tubes handle voltage gain, not output buffering. The task of current delivery and driving a variable impedance—the load aka headphone/IEM plugged in—falls on class A/B transistors. The micro bottles merely 'see' the steady impedance of the solid staters. Noise-free cruising, no bruising. For size reference here topped by the Questyle QP1R, the CDM is bigger still. 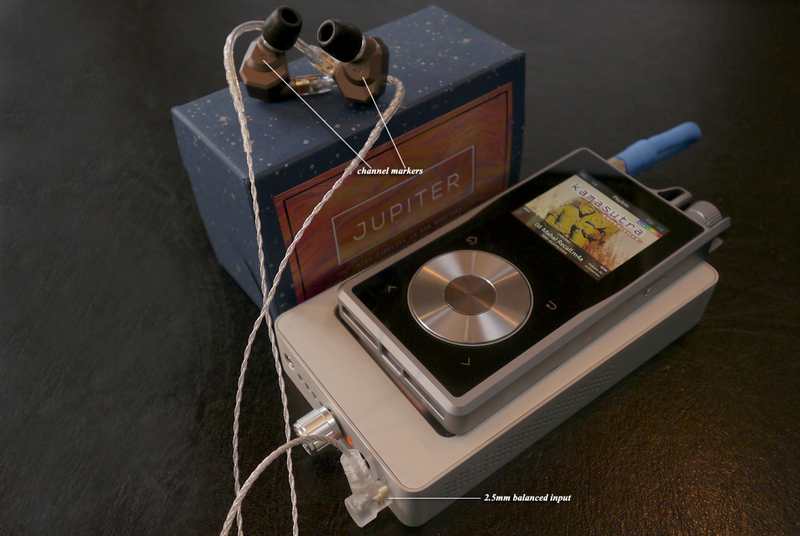 It drives the 114dB Campfire Audio Jupiter from ALO Audio's sister brand without any noise. Crispy critter. If you are cruising, for a tube fling that is, undo the volume knob's fixing bolt, then pop the four belly mounts. Pull back the top to clear the volume shaft, then lift it out. Turn over. Once inside, gently lift up the tubes from their sticky patch, then pull back to detach the PCB pins. Replacement options in single and dual triode flavours (notice a theme) are quite extensive. Sourced from Ken Ball, they'll come pre-wired with a miniature PCB to slip right in, no soldering required. Being class A biased for its voltage gain section, our CDM sheds heat. The tubes draw as much juice at idle as they do playing since they don't switch. They're always on to exhibit zero 'zero crossing' as the limbo state between on and off. Activate the DAC by setting the input selector to USB. Now things get toastier; and the batteries run down faster since you just increased the circuit's draw. If ye be biased in class A, being a hot mama or stud is perfectly normal. The CDM is all three. Have we hit omnisex? Don't sweat it, this deck and its parts were designed and selected to deal with it (the heat). Confused? Hit the ALO Audio website. Ken has two videos explaining everything you always wanted to know. About the CDM, getting inside and rolling glass. We'll jump straight to using it.